New born. 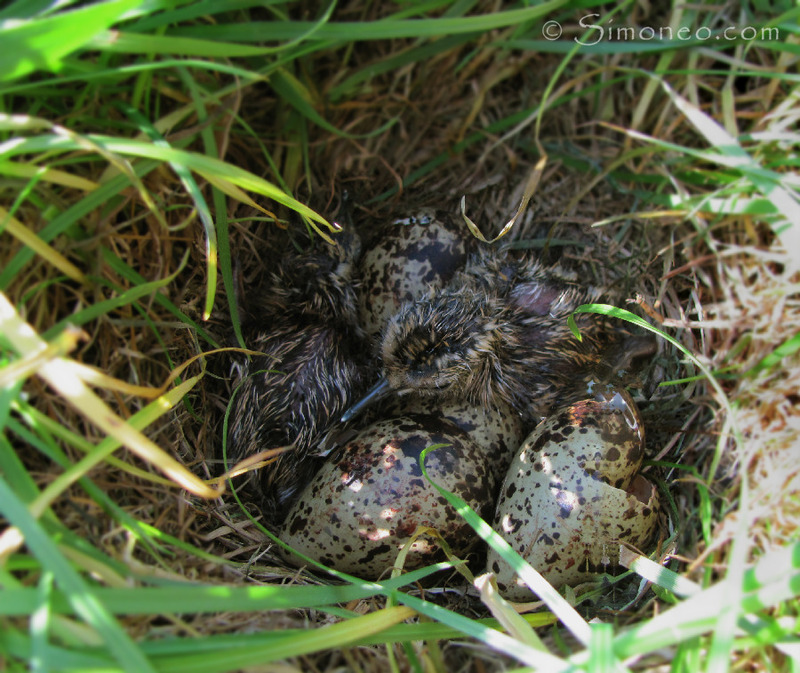 A nest of 'fresh' born redshanks (tringa totanus/tueluur), the eggshells still in the nest on the edge of a small ditch in the meadow. While doing my walk for the Wader Protection foundation, I came across this lovely scene.